To celebrate spring, Starbucks is offering a limited edition Cherry Blossom Frappuccino. It's only available between March 15 and 20. It's pink and green... of course I had to try it. Luckily it does not taste like a Cherry Blossom. 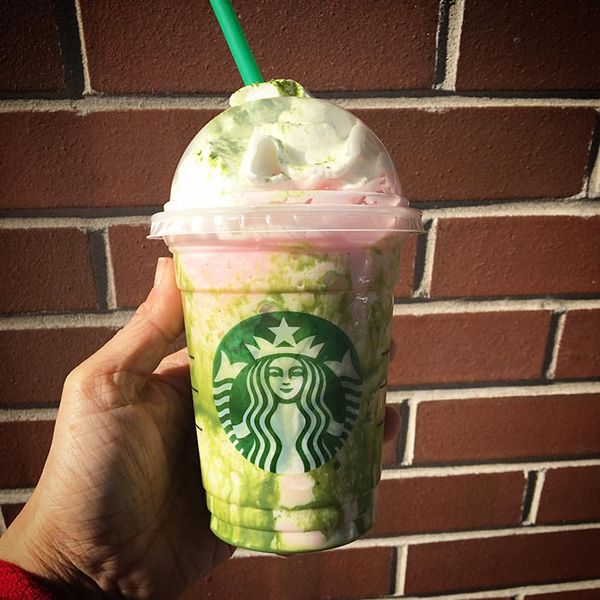 It is "a blend of sweet strawberries and cream with white chocolate sauce and matcha drizzle, topped with whipped cream and a sprinkle of matcha." Then again it doesn't taste like cherry either, which upset some people apparently. The thing that amazes me the the amount of news this created. The Cherry Blossom Frappuccino was covered by CNN Money, Fortune, Money and many more. Who knew one frozen beverage could shake things up so much?